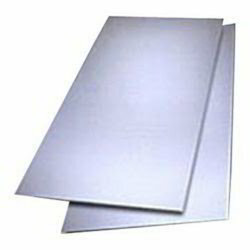 We are Offering Aluminum Coated Sheets. Being a well-distinguished company in the market, we are in offering Colored Aluminum Sheet. We are the distributor of Aluminium Colored Sheet from last 25 years. Aluminum Color Coated Sheets are appreciated for their versatility and hence are used in number of applications. Aluminum Color Coated Sheets are suitable for printing, advertisements, packaging, roofing, etc. These Aluminum Color Coated Sheets are made available in different color coatings, length, width and thickness. Matching up with the exact requirements of customers, we are involved in presenting a wide array of Glading Aluminum Sheet (Colour Coating Sheet). 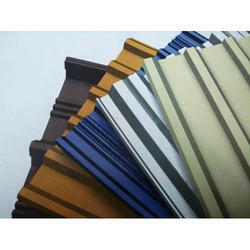 Colored Sheet offered by us are highly in demand, these are easily available at affordable price. The presence of Colored Sheets acknowledged by clients in the presence of existing Colored Sheets in markets lies on the remarkable quality factor. The quality factor of Fiber Sheets helps us to take a stand as the prime supplier of Fiber Sheets in markets.